The Illini Union was designed by architect, Ernest L. Stouffer. 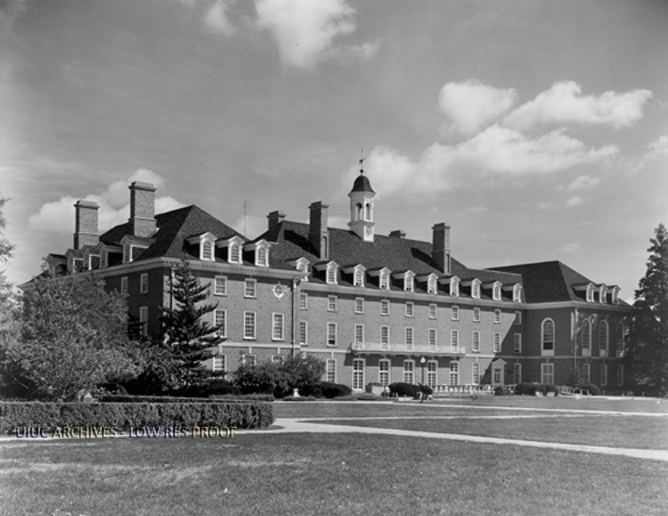 Located in Urbana, the student union was completed in 1941. The Illini Union was originally started from the rent of the first floor of the YMCA. The expansion plan was started when the University bought the building in 1938. It was built in 1939 and dedicated by First Lady Eleanor Roosevelt in 1941. It was designed by Ernest L. Stouffer in a Georgian Revival style. There are plenty of colonial traditions on the building and all the wood works were man made. The building remains as the transit center of the campus until now and still in a good shape to serve as a social space for students, faculty and guests around the world. The Georgian Revival style was the result of the cooperation of Ernest L. Stouffer, and Howard Cheney. Modeled after colonial Virginia, most of the interior wood decoration was done by craftsman John C. Freiburg. 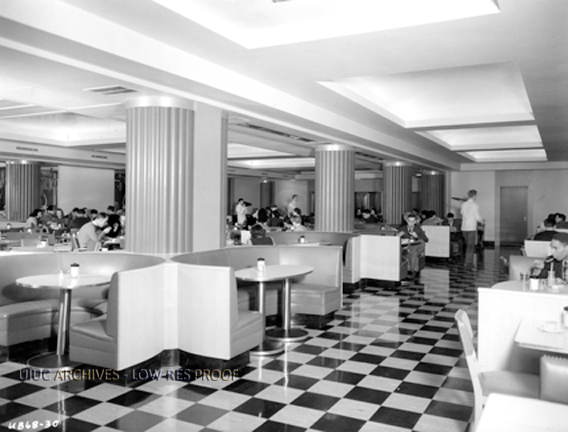 In order to serve as a people gathering place, the building was designed as a multi-functional space. It includes from study rooms, offices to restaurants and hotel to satisfy all kinds of needs from students, faculties, etc. 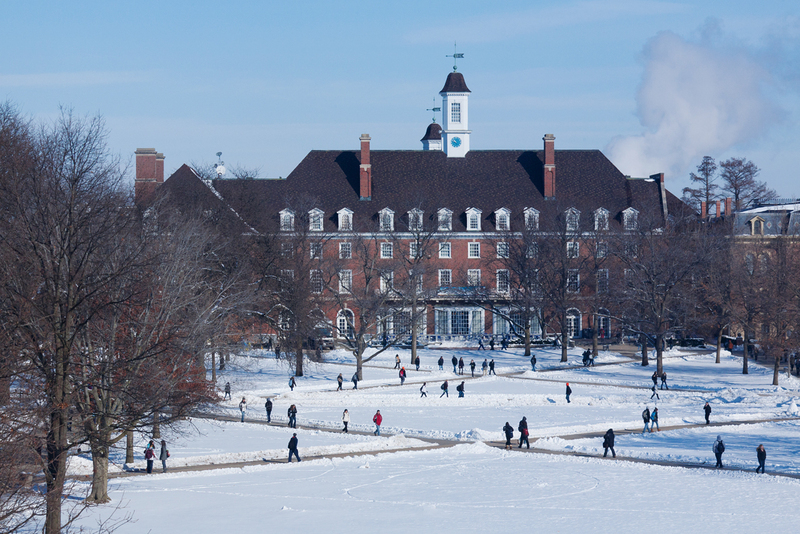 Overall, one of the intentions of Illini Union which does not change for the whole time is its major function that providing a social space for people gathering and meeting. The Illini Union is a Georgian Revival four-story building with a basement serving as a social space including quick-service restaurants, a bowling alley and a computer lab. The main floor contains a bookstore, a meeting room and a cafe for social gathering. The floors above are occupied by divided office space for Registered Student Organization, student government, etc. Ernest L. Stouffer was a University architect who functioned as an independent architect designing many building throughout the University of Illinois campus. When becoming an architect he began his education at the University of Illinois, receiving his B.S. in Architecture in the year 1918. Continuing his education Ernest received his Master of Architecture from the University of Illinois in 1931, as well. Stouffer established his own firm in 1929, but continued to work with other architects he had met throughout his young career. As a student of the University of Illinois, Stouffer’s work is available to seen throughout campus. His designs tend to have a very classical look. Brick is used throughout his designs, and his buildings portray an image of scholastic environment. 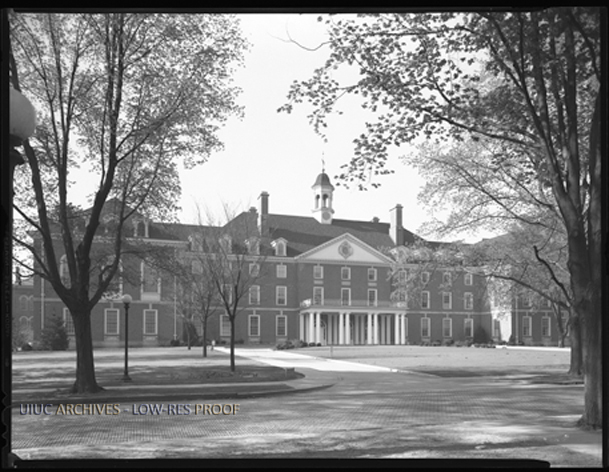 Buildings such as the Illini Union, Gregory Hall, and additions to McKinley Hospital display his classical design skills. Guangjie Jin, “Illini Union,” ExploreCU, accessed April 20, 2019, https://explorecu.org/items/show/282.